Just over one week ago, nineties singer Carnie Wilson of the trio Wilson Phillips took to her twitter account to announce to the world that she has been diagnosed with Bell’s palsy, a form of facial paralysis that is temporary in 90% of cases. This is actually Carnie’s second bout of Bell’s palsy, with a previous diagnosis taking place several years ago in which she was left without any permanent side effects. To help her overcome Bell’s palsy this time, Carnie has turned to acupuncture, an ancient treatment that relies on inserting thin needles into various pressure points of the body to relieve stress and pain. Though Carnie has only been suffering from the condition for a short period of time, she already believes that her treatment has been working and expects to make a full recovery shortly. 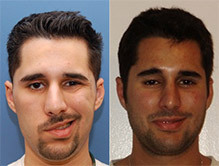 At the Facial Paralysis Institute in Beverly Hills, world-renowned Bell’s palsy surgeon Dr. Azizzadeh believes that the best treatments for Bell’s palsy are unique to each individual, as he takes into consideration several factors to develop a completely custom treatment plan to improve facial symmetry or reanimation. Because Bell’s palsy most often results in the patient overcoming the condition over the course of several months after a diagnosis, many of Dr. Azizzadeh’s patients find relief in using Botox to improve facial symmetry for the time being. Non-invasive Botox injections work to actually relieve the downward pull of Bell’s palsy on the face, releasing the paralyzed muscles and allowing them to drift upward towards a new resting position. 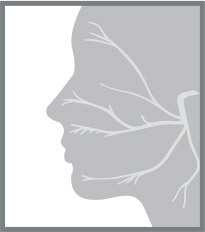 For individuals who are looking to improve facial reanimation (usually long-term sufferers of the condition who don’t regain movement), procedures like the cross-facial nerve graft or gracilis free flap surgery have provided excellent success for patients time and time again. Though these procedures due require more extensive surgery, they can provide amazing outcomes for individuals. Though Carnie Wilson has suggested acupuncture has helped her overcome some of the effects of the condition, more studies are needed to determine why and if this is actually a valid treatment for sufferers. 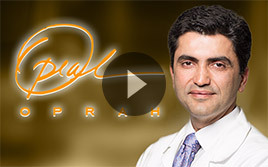 As an expert facial paralysis and Bell’s palsy surgeon in Beverly Hills, world-renowned surgeon Babak Azizzadeh, MD, FACS, works to provide his patients with the most revolutionary and cutting edge treatments available, both surgical and non-invasive. If you or someone you know is currently suffering from Bell’s palsy or facial paralysis, we encourage you to contact our medical practice today to schedule your initial consultation by calling (310) 657-1002. 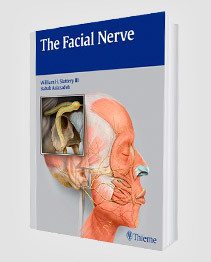 As a board certified facial plastic and reconstructive surgeon, Dr. Azizzadeh’s knowledge of treating conditions relating to the facial nerve is extremely advanced. For further information about undergoing treatments for Bell’s palsy in Beverly Hills, contact our medical practice today.